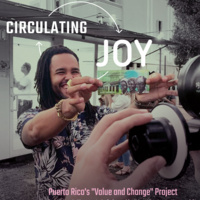 In this talk, Scholar, Curator and Artist Dr. Frances Negrón-Muntaner will consider the critical role that artistic praxis is playing in rethinking and disrupting Puerto Rico's debt crisis, and proposing alternative economic and political paths. Dr. Negrón-Muntaner is Professor of English and Comparative Literature at Columbia University and Director of the Center for the Study of Ethnicity and Race there. The event is part of the week-long events on Sustainability taking place on Campus the first week of April. Sponsored by the Sustainability Studio.